Nestled up in the snow-covered Himalayas, villagers from an isolated mountain village remain on high alert. Earlier that morning, a local shepherd boy spotted a snow leopard crouched on a rocky outcrop on the village outskirts, as he was grazing his family’s goats. The snow leopard’s silvery coat—speckled with black rosettes—helped it blend so well against the hilly backdrop, the boy almost missed seeing it. A few days ago, the villagers had heard about a spate of cattle killings in another village nearby; rumors were that a snow leopard was responsible for their deaths. The boy wondered if this same snow leopard was the culprit. Ordinarily, in such situations, once he alerted his kinsmen, the village herdsmen would act quickly, tracking and killing the snow leopard before it could attack their livestock—livestock was the sole source of income for their impoverished families. 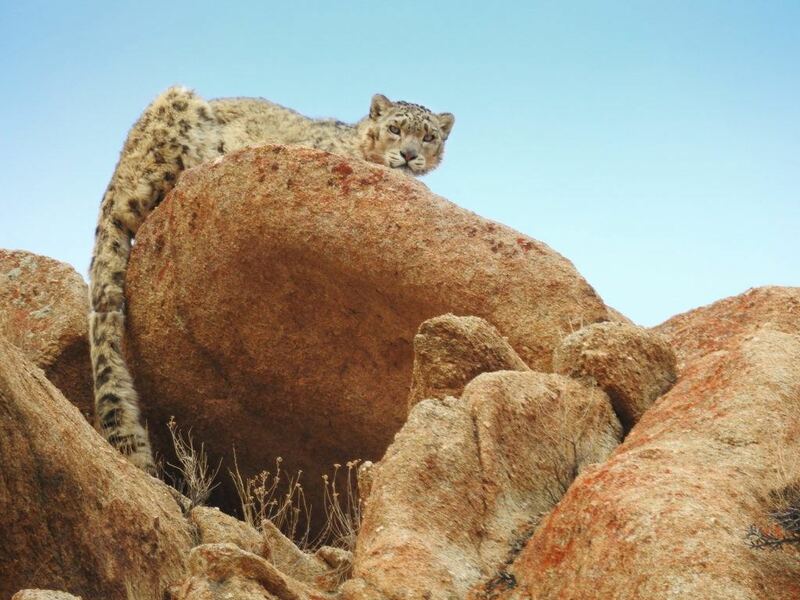 But thanks to conservationist and WCN 2018 scholarship recipient Saloni Bhatia—who has been traveling to the village for the past week—to listen to the villagers’ frustrations, help them develop ideas for supplementing livelihoods, and share accurate information and strategies for coexisting with snow leopards—the villagers now have a plan to help this endangered cat survive, while also keeping their livestock safe. Called “ghosts of the mountains” due to its elusive nature, the snow leopard faces many threats, including retaliatory killings for hunting livestock, poaching for its luxurious pelts and for bones and organs used in “traditional medicine,” habit degradation, and lack of awareness about how human activities and land use affect wildlife. Today, these striking wild cats are listed as Endangered on the IUCN Red list. Habit degradation from climate change and grazing livestock has led to scarce food sources at higher elevations, forcing snow leopards to venture down the mountain to hunt near human settlements. Through her ingenious study of philosophy, science, religion, literature and folklore, ecology, and psychology—part of her interdisciplinary doctoral program at Nature Conservation Foundation and Manipal University in India—Saloni is actively striving to change people’s negative perceptions about these wild cats. Sometimes her work immediately impacts a fraught situation, like when she researched media representations of human-leopard conflict in Mumbai and used the findings to engage with the media, encouraging them to use neutral to positive framing when reporting stories about leopards in urban areas. At other times, Saloni’s actions benefit wildlife in unexpected ways. 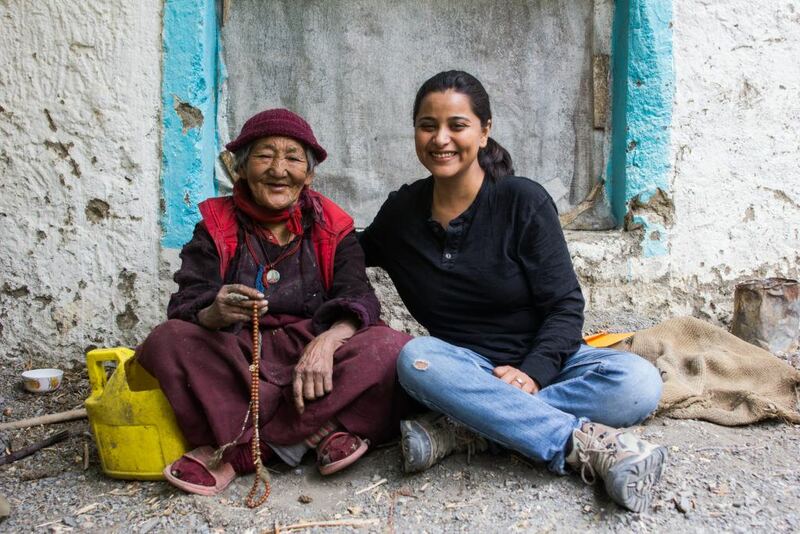 In a cold desert mountain valley in the Himalayas, for instance, she helped set up the first artificial glacier in a Spiti Valley village to address water shortage issues; the community’s appreciation led to support for local conservation work. In developing countries like India, conservation is often at odds with the disenfranchised sections of society, and carnivores like snow leopards can cause significant economic losses in an already resource-poor landscape. The impacts of these species on one hand, and the retaliatory killing and their declining numbers on the other, make it tough to find long-term, socially responsible conservation solutions. Using an innovative approach, Saloni is gaining valuable insight into the role that cultural touchstones like folklore and religion play in shaping attitudes toward wildlife. Looking at factors that influence people’s relationships with species like snow leopards and wolves, she assesses how ecology, society, and human psychology affect tolerance levels of people sharing space with these animals. By documenting neutral to positive interactions with these species, instead of focusing on negative human-carnivore interactions, which most studies tend to do, she is expanding our understanding of coexistence. WCN’s scholarship will enable her to complete her thesis, connect with like-minded conservationists, and study tensions in spaces where wild habitats and human settlements intersect. Saloni particularly enjoys working at the grassroots level, involving women and youth in decision-making—groups that, traditionally, have minimal conservation engagement.